Dr. Hopper is a successful educator with extensive experience as a secondary education leader. He began his educational career two decades ago with Saint Louis Public Schools. From 2005-2015, Hopper served as head principal of McCluer North High School. He has been in Ritenour School District as the head principal the last three years. Dr. Hopper earned his PhD in educational leadership from Saint Louis University, and both a master’s in educational administration and a bachelor’s in education/English from Missouri State University. He is a former Marine and native to Joplin. He attended Joplin Schools kindergarten through seventh grade, prior to moving to Carl Junction and graduating high school there. Mr. Boyd has spent over 20 years in education having served as a high school teacher, coach, and administrator. Prior to coming to Joplin Schools, Mr. Boyd worked in three Kansas school districts. He received his Bachelor's and Master's Degrees from Kansas State University and a Specialist Degree from Pittsburg State University. Mr. Harryman is currently serving as 10th Grade Principal at Joplin High School. He spent his first 20 years in education as a teacher and coach at Joplin Junior High, South Middle School, and Joplin High School. He received a bachelor’s degree in Kinesiology from Missouri Southern State University, Joplin. He earned a masters degree in education administration from William Woods University. Ms.Dorton began her educational career in 2006, teaching technology education at Joplin High School. In 2015, she started working at Franklin Technology Center as the Vocational Special Services Coordinator. Dorton has also coordinated Project Lead The Way programs at Joplin High School and Franklin Technology Center. She has served the district for 12 years. Ms. Dorton earned her bachelor's degree in technology education and master's degree in educational leadership, both from Pittsburg State University. She will complete her specialist degree in educational leadership from Arkansas State University. Mr. Flora serves as an Assistant Principal for the JHS freshman class, and is in his 11th year in education. Prior to coming to Joplin, Mr. Flora served as a biology teacher and coach in the Reeds Spring School District for the past nine years. He has coached baseball, softball, and basketball in his previous district. Mr. Flora obtained a bachelors degree in wildlife biology, as well as a masters degree in teaching from Missouri State University. In addition, Mr. Flora received a masters degree in school administration from Lindenwood University, and is currently obtaining his doctoral degree in educational studies from the University of Northern Colorado. Mr. Hiatt is beginning his fourth year with Joplin Schools. Most recently, Mr. Hiatt was the Assistant Athletics Director for Joplin Schools. Previously, he served as athletic director and head teacher for Northeast High School, in Arma, Kansas. Mr. Hiatt has more than twelve years of experience teaching and coaching various sports including golf, football, baseball, and basketball. Mr. Hiatt graduated from Pittsburg State University with a bachelor of science degree in physical education and a minor in computing. He also earned his master's degree in Educational Leadership from PSU. Mr. Hiatt and his wife Ashley have a 2 daughters named Mia and Maesyn. Mr. Rockers has been the Director at Franklin Technology Center since 2004. He has been in Career and Technical Education for 29 years. He began his career in education as a Marketing Education instructor and DECA Chapter Advisor at comprehensive high schools in Oklahoma and Kansas. He also served in that capacity at Franklin Technology Center in the early to mid 90's. 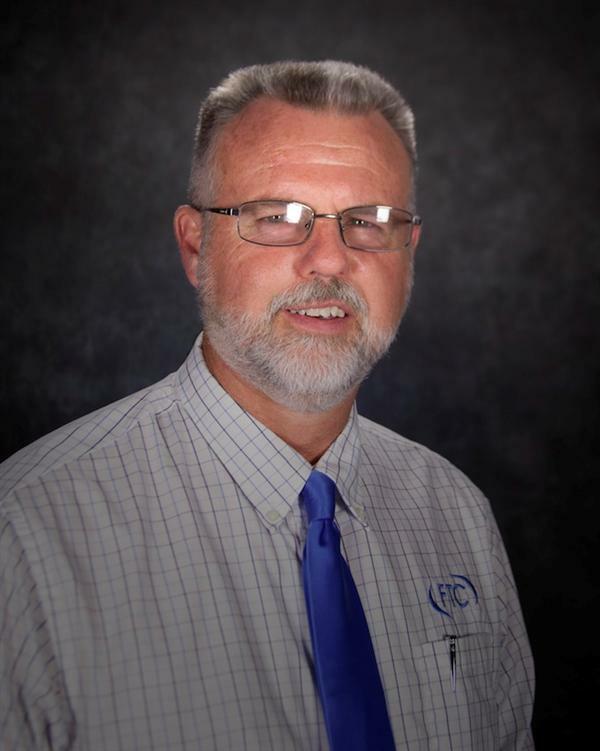 Mr. Rockers has taught in an alternative high school and began his career in Career and Technical Education Administration in 1998 serving as Director and Associate Dean for Technical Education at Crowder College. Mr. Rockers earned an Associate's Degree from Northeastern Oklahoma A & M majoring in Mid-Management and Marketing. He received his Bachelor's degree from Emporia State University in Business Education w/Marketing Education as his major. He received his Master's degree in Vocational Education and Secondary School Administration from Pittsburg State University. He is a member of the Missouri Council of Career and Technical Administrators, the Association for Career and Technical Education, and the Association of Supervision and Curriculum Development. Mr. Reed has been associated with Franklin Technology Center since 1978 first as a student, then an advisory member for the school for 10 years while employed by area manufacturing and engineering firms in southwest Missouri. In 1990 he became the instructor for the Manufacturing and Machining program. In 2004 he became the Special Service Coordinator for Franklin Tech and after 2 years he was moved into the Assistant Directors position. Mr. Reed received a bachelors degree in general education from Missouri Southern State University, his masters in Technical Education from Pittsburg State University, and specialist degree in educational leadership from Missouri State University. He is a member of the Missouri Counsel on Career & Technical Administrators, the Association of Career & Technical Educators, and the Association of Supervision and Curriculum Development.